Effective help For Cocaine Addiction – quit easily and successfully! I can help you take proper control over cocaine abuse. 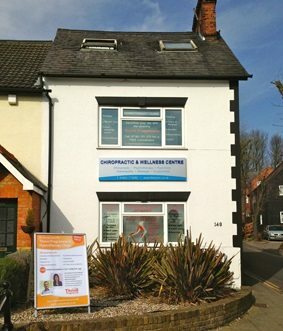 Clinics in Rickmansworth and Aylesbury, welcoming enquiries from Amersham, Chesham, Hemel Hempstead, Harefield, Croxley and St Albans. Many of the clients I treat for cocaine abuse feel out of control and powerless, with the belief that the addiction is controlling them and they feel powerless to resist it, some or most of the time. Often there is a strong sense of guilt attached to taking the drug, feeling as though you are letting loved ones, or even yourself, down. Why do I do it – am I addicted? Despite the fact that I’ve named this page ‘Cocaine Addiction’, I will show you that you are NOT chemically addicted to the drug. For all users, there are times in their day or week when they are unable to use it and don’t think about it and don’t miss it. These are often times when you are busy at work or with family when taking it is not an option. It can be surprising how easy it is to not think about it when you cannot have it! Excessive use of cocaine is entirely linked to emotional control: relying on the drug for escapism, a boost, confidence, to feel you are fitting in socially, etc. Therefore, in order to effectively limit or stop your use, any treatment should be focused on getting you to feel back in control of your emotions so that you are not reliant on a drug to do it for you: helping you to be calmer, more self sufficient and feel more in control of your thinking, and your life generally. When I came to you earlier this year, in an attempt to address “my (so called) issues”, I did so a little sceptically, as I had previously visited other counsellors, with little, limited, or no success.I do know that I am armed with the tools to confidently deal with the everyday situations/issues that my work/home life may throw at me. I know now that as long as I continue to Thrive, work hard & believe in myself, I know that I will continue to have the great life that I want. Help for Cocaine addiction – Get in touch! I can help you overcome your addiction or reliance on cocaine, take back control and enjoy your life without drugs. Help for addictions using The Thrive Programme in Rickmansworth. Serving the areas of Amersham, Chesham, Hemel Hempstead, Harefield, Croxley and St Albans.